Life's Treasures | Ethical Cards, Jewellery and Gifts | Bumper selection pack of 50 varied cards. 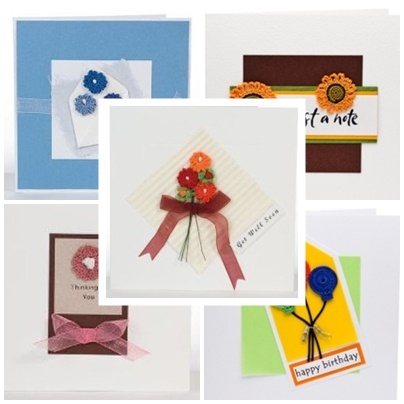 Bumper selection pack of 50 varied cards. An outstanding pack of 50 cards carefully selected from our range of these outstanding hand crocheted cards. The cards are made in Turkey as part of an income generation project which increases the household income by a minimum of 20%. The pack will contain some Birthday cards, thank you Cards, All occasion cards, New Arrrival cards, Condolence Cards and wedding/ engagement cards. An ideal way to get both excellent value and support a worthwhile project.